Born and bred in the church, Jerry Dewitt was a Pentecostal preacher in the town of DeRidder, Louisiana before he came to doubt his faith and, ultimately, reject it outright. The first graduate of The Clergy Project, Jerry DeWitt now travels the country promoting secularism (and a love for people both religious and non-religious). 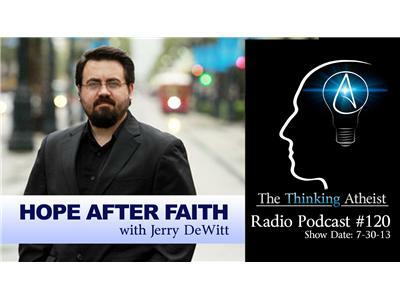 He is author of the book, "Hope After Faith: An Ex-Pastor's Journey From Belief To Atheism." He joins Seth Andrews for a deeply personal discussion about his former faith and the road from pastor to apostate.